Chikkamgaluru, December 2: Karna Kadur and his co-driver Nikhil Vittal Pai of Arka Motorsports scored their third consecutive Overall win in the Coffee Day India Rally, the fourth round of the MRF FMSCI Indian National Rally Championship, here today, as the duo, in a Volkswagen Polo, nursed their healthy overnight lead with a sensible drive. Chikkamagaluru, December 01: Karna Kadur (co-driver Nikhil Pai) of Arka Motorsports kept his wits about him to emerge overall leader with a 59.7 seconds advantage at the end of Leg-1 in the Coffee Day India Rally, the fourth round of the MRF FMSCI Indian National Rally Championship, here today which saw favourite Gaurav Gill (Musa Sherif) of Mahindra Adventure retiring with a mechanical problem. On a day of drama with 11 retirements, Gill, who was enjoying a comfortable lead, met with disaster as the lower arm of his XUV 500 broke, forcing him to stop in SS-6. He will re-join the competition tomorrow under the Super Rally format in a bid to score leg points. “A bad day in the office. We had a good morning, winning all the Stages, but on the fifth Stage, we had an issue with the lower arm with the ball joint completely shearing off. A case of metal fatigue perhaps. We are driving tomorrow and take whatever points we can and stay in the championship. So, maximum attack tomorrow,” said Gill. 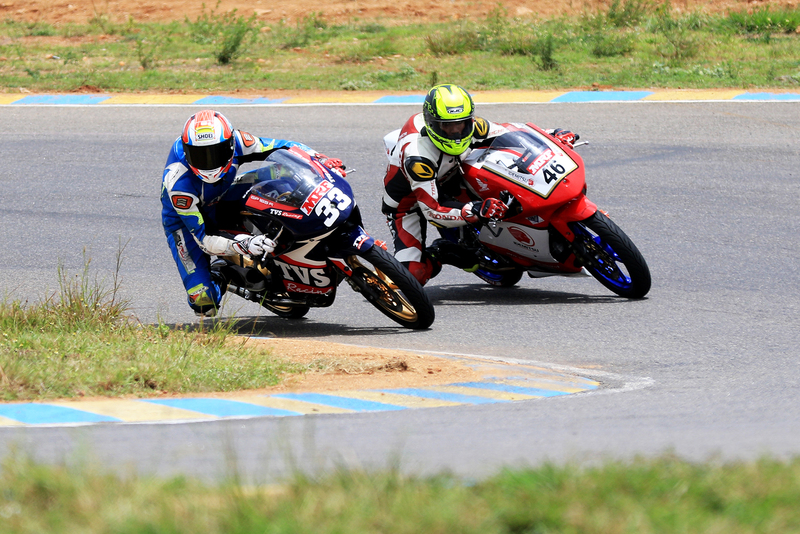 While Gill packed up for the day, Bopaiah (Gagan Karumbaiah) eased into Overall second spot, just 16.5 seconds ahead of an ailing Amittrajit Ghosh (Ashwin Naik) of Mahindra Adventure. Ghosh, battling an allergy and suffering from breathing problems, strove manfully to finish the day without any mishap. The Special Stages took its toll as a total of 11 competitors retired due to reasons ranging from mechanical problems to crashes as the surface deteriorated as the day wore on. The day’s last Stage was cancelled after Aroor Vikram Rao crashed and his car blocked the track. For Ghosh, it was a huge task to even drive the XUV 500, given his indisposition following a “shell fish allergy” that he caught on the flight from London earlier this week. “It is the toughest drive of my rally career. I couldn’t push to my limits. I am just forcing myself to drive. I am not looking at the timings and if we can make a place tomorrow, then we will. Even as I am talking now, I am gasping. I have not had any solid food the whole of this week. Tomorrow, I will drive at the pace I am comfortable with and take whatever points I can from this Rally,” said Ghosh. Overall: 1. 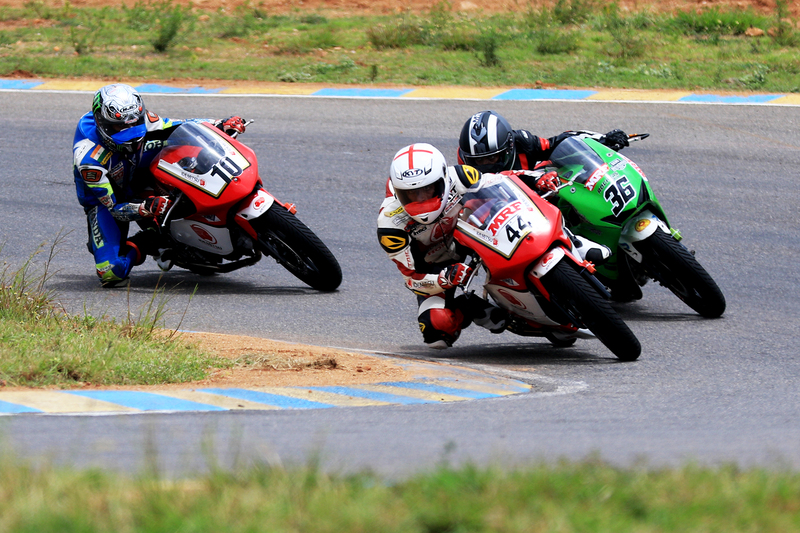 Karna Kadur / Nikhil Pai (Arka Motorsports) (01hr, 12mins, 50.0secs); 2. Bopaiah / Gagan Karumbaiah (Team Champions) (01:13:49.7); 3. Amittrajit Ghosh / Ashwin Naik (Mahindra Adventure) (01:14.06.2). INRC-1: 1. Ghosh / Naik; 2. Michu Ganapathy / Venu Rameshkumar (Team Champions) (01:16:30.8); 3. Harshita Gowda / Vidhya M (Pvt) (01:24:20.6). INRC-2: 1. Kadur / Pai; 2. Bopaiah / Gagan Karumbaiah; 3. Younus Ilyas / Harish KN (Pvt) (01:14:52.4). INRC-3: 1. Arjun Rao / Milen George (Chettinad Sporting)(01:15:17.2); 2. Fabid Ahmer / Shahid Salman (Chettinad Sporting) (01:16:33.0); 3. Darius Shroff / Nitin Jacob (Pvt) (01:18:22.8). FMSCI 2WD Cup: 1.Mujeeb Rahman / Moideen Sharfali (Pvt) (01:19:19.8); 2.Vikram Gowda / Sudheendhra BG (Team Champions) (01:19:42.2); 3. Prakhyat H Shirole / Bharath SM (Pvt) (01:20:13.4). 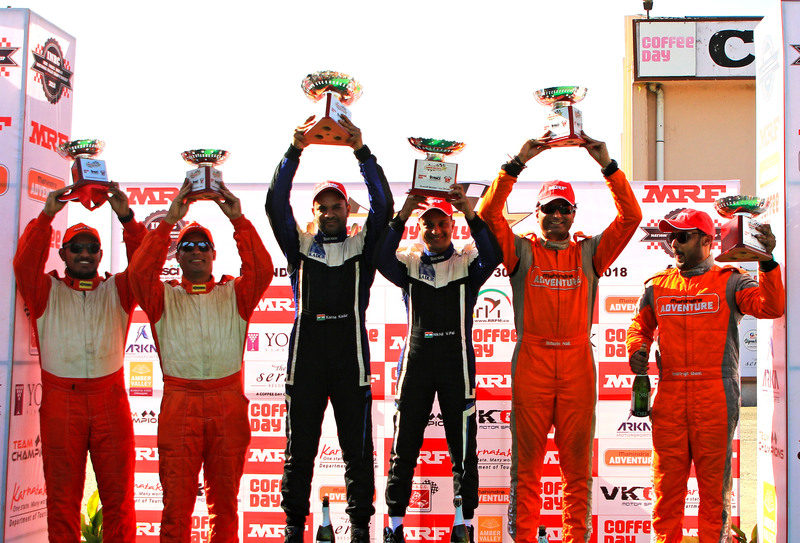 FMSCI 4WD Cup: 1. Sanjay Agarwal /Smitha Prasad M (Team Champions) (01:19:52.4); 2. Sachin Murthy / Sathyapal (Pvt) (01:21:07.9) 3. Nikhil J / Arjun Dheerendra (Pvt) (01:26:07.1). Chikkamagaluru, November 30: Reigning champion Gaurav Gill (co-driver Musa Sherif) drove with controlled aggression to top the timesheets in the Super Special Stage which launched the Coffee Day India Rally, the fourth round of the MRF FMSCI Indian National Rally Championship, promoted by Ramakrishna Race Performance Management, at the Amber Valley school grounds, here on Friday. Driving the XUV 500 for Mahindra Adventure team, Gill, a virtual cult figure in this coffee town, did not look as spectacular as some of the drivers before him, but the clean lines through the corner saw him clock two minutes, 34.7 seconds for the 2.12 Kms run as he led a 1-2 for his team, ahead of Amittrajit Ghosh (Ashwin Naik) who did 02:35.1. Local lad Karna Kadur (Nikhil Pai) of Arka Motorsports, piloting a Volkswagen Polo, was overall third quickest in 02:36.1.